Above: Rev. Edward Pinkney of the Black Autonomy Network of Community Organizations speaks in Detroit at Moratorium NOW! meeting Oct. 20, 2014. Rev. 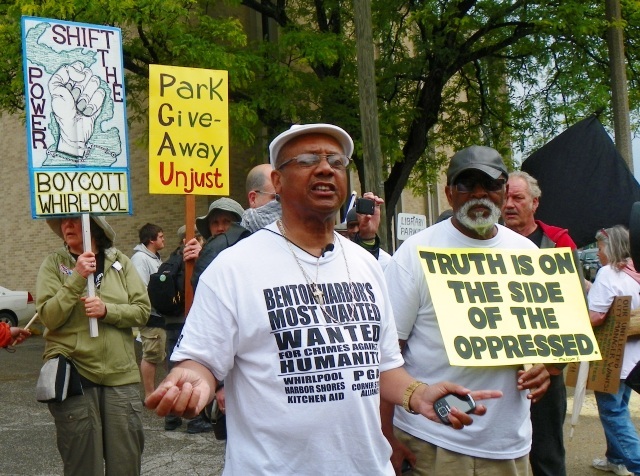 Edward Pinkney at May 26, 2012 rally against the Emergency Manager and Whirlpool takeover of Benton Harbor, MI. ST. JOSEPH, MI – An all-white jury found renowned Benton Harbor activist Rev. Edward Pinkney guilty Oct. 3 of five counts of “forgery under the Michigan election law,” related to a recall petition against Benton Harbor Mayor James Hightower. The charges were brought April 24. The day after, a SWAT team surrounded and invaded his home as if he were a violent criminal. He was not there and turned himself in later. The jury acquitted him of six misdemeanor charges relating to the presence of duplicate signatures on the petitions. The petitions cited Hightower’s opposition to a city income tax that would have brought substantial revenues to the poverty-stricken city from Whirlpool, which is headquartered in Benton Harbor. Berrien County Circuit Court Judge Sterling Schrock. Berrien County Circuit Court Judge Sterling Schrock set sentencing for Dec. 15. The verdict followed five days of testimony beginning Oct. 27, during which a Michigan State Police forensics technician said there was no way to tell who allegedly changed petition dates, to bring them within the required time frame for the recall. Other prosecution witnesses testified only that Rev. 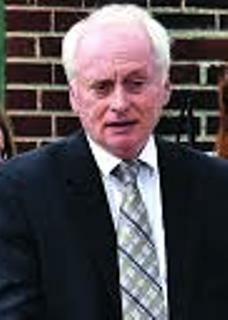 Pinkney appeared to have originated the petition. But they, defense witnesses, and Pinkney himself testified that the petitions had gone through many hands. Three defense witnesses also testified that they saw another woman changing dates on the petitions without Pinkney’s knowledge. 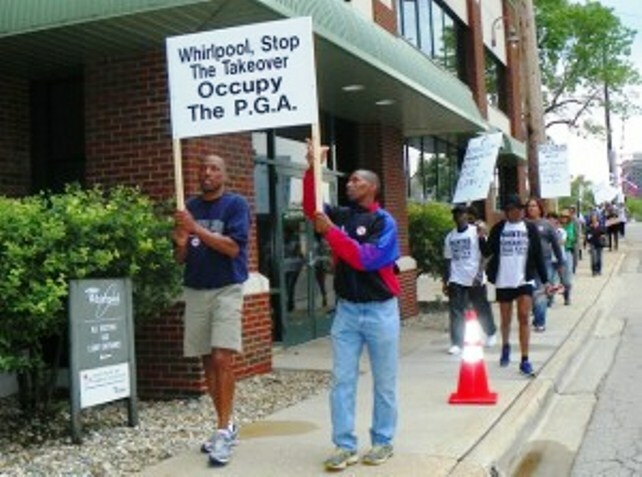 Benton Harbor youth protest Whirlpool during 2012 PGA. Whirlpool is headquartered in Benton Harbor but decades ago moved all its manufacturing facilities out of state, leaving the 98 percent Black city with virtually no economic base. Since then, it has gobbled up public and private land across the city to build an $86 million headquarters on the St. Joseph River, along with a luxury condominium complex and a “world-class” golf course adjoining Benton Harbor’s public Jean Klock Park on a beautiful stretch of Lake Michigan beach. 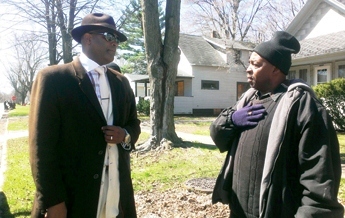 City Commissioner Marcus Muhammad, a member of the Nation of Islam, was set to run against Hightower after a civil court found there were sufficient valid petition signatures for the recall, despite Sepic’s charges against Pinkney. However, an appeals court overturned their ruling and the recall election was cancelled. Attorney Tat Parish with Rev. 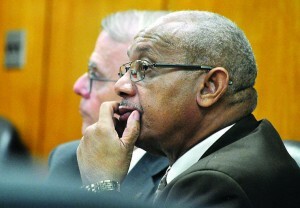 Pinkney during trial. On Oct. 23, a Michigan Court of Appeals issued an unpublished opinion in People v. Michael Brandon Hall, which upheld District and Circuit Court findings that Hall had been appropriately charged under the misdemeanor statute, despite the prosecution’s contention to the contrary. Hall actually admitted to forging ten electors’ signatures on petitions that he turned in. In contrast, Rev. Pinkney denied tampering with the Hightower recall petitions at all. The prosecution was unable to produce direct evidence that he changed dates, a much less serious act then forging names. But Pinkney was charged under the more severe forgery statute and has contended since his arrest that he was innocent, and that the statute was not appropriate. Attorney Donald Hann, who represented Hall, told VOD that even though the petitions in his case involved nominating petitions, state law requires that the same format be used for recall petitions. He said the Hall case is on point as far as he understands the facts in Pinkney’s case. “He’s probably got a legitimate shot at an appeal [on this issue]” Hann said. He noted that the forgery statute has a caveat indicating, “unless herein otherwise provided,” which caused him to find the misdemeanor statute. The Hall appeals court said that the misdemeanor statute was more recent and specific, and therefore took precedence. It noted also that Hall’s due process rights would have been violated if charged under the felony statute. They noted that election petitions are required to state that violations are misdemeanors. “As he did in the lower courts, defendant argues that it would be fundamentally unfair to allow a felony forgery prosecution when the nominating petition itself provides that the conduct at issue in this case is a misdemeanor,” said the Court. The prosecution in Hall argued that their office had broad discretion in choosing between the two statutes, but the Appeals Court cited rulings favoring “lenity,” i.e. choosing the more lenient of the statutes. But there is no “lenity” in Berrien County for peoples’ activists like Rev. Pinkney. Sepic, however, did not cite a “habitual offender” charge in this case. The remainder of his statement speaks for itself regarding his enmity and that of the Berrien County court system towards Rev. Pinkney. Three of Pinkney’s felony convictions, for which he actually served time in the state prison system, were also election-related. On appeal, his sentences were reduced to probation. 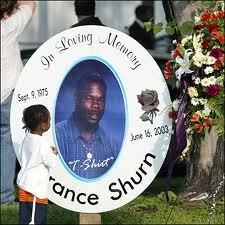 Rebellion in Benton Harbor after police caused death of Terrance Shurn in 2003..
Those charges became a cause celebre as a political attack. Pinkney’s supporters note that he has fought not only Whirlpool and state emergency manager laws, but also disproportionate arrest and sentencing practices in the Berrien County Circuit Court for Black Benton Harbor residents, as well as rampant police brutality there. 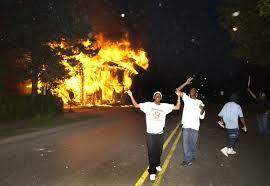 In 2003, Benton Harbor youth staged a days-long rebellion after police caused the death of Terrance Shurn by chasing his motorcycle into a wall. He added, “We’ve got to fix this jury system. There was not one person from Benton Harbor, not one person from Benton Township on the jury. Anytime a Black man is sitting inside that courtroom and the jury is all white, that is a major problem. I think the jury is dishonest, and I think something should be done about it. Matter-a-fact, they should be facing time behind bars. . . The U.S. Census shows that Berrien County is in fact 15.3 percent African American, and four percent Latino. The entire jury venire in Pinkney’s case included only two Blacks, who were promptly excluded by the prosecution. 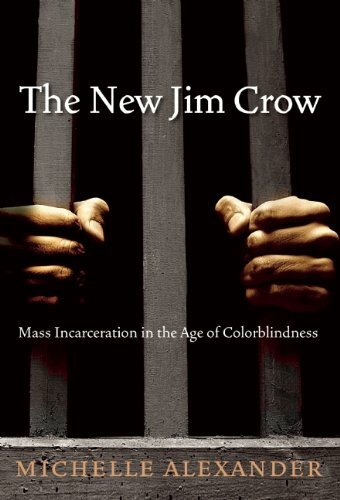 Pinkney’s supporters say this is nothing but “The New Jim Crow,” as author Michelle Alexander dubbed it in her book of the same name. Rev. Pinkney told VOD that juries in Berrien County Circuit Court have been all-white for at least the last 10 years. Rev. 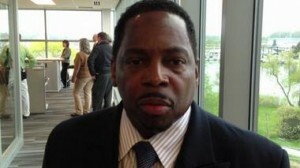 Edward Pinkney, the 66-year-old community activist who has battled for decades on behalf of the mostly Black population of Benton Harbor, Michigan, was this week convicted on five counts of forging the dates of some signatures on a petition to recall the town’s mayor. The Berrien County jury was all-white. So was the judge and the prosecutor. Each of the felony counts carries a maximum five year sentence, but prosecutor Mike Sepic is calling for a life prison term on the grounds that Rev. Pinkney “has at least three prior felony convictions” – all of them stemming from his nonviolent resistance to white supremacy and the rule of the rich. Rev. Pinkney’s nemesis – the rich entity that rules in Berrien County – is Whirlpool, the giant corporation that once employed lots of Black people in low-wage positions at its Benton Harbor headquarters, but now wants them gone, so that the land on which the town sits on the shores of Lake Michigan can be put to more luxurious and profitable uses. In better times, a park was set aside for community use. But, what Whirlpool giveth, Whirlpool taketh away. The park was privatized and then turned into a golf course where Whirlpool can entertain its executives and visiting operatives of the ruling class. 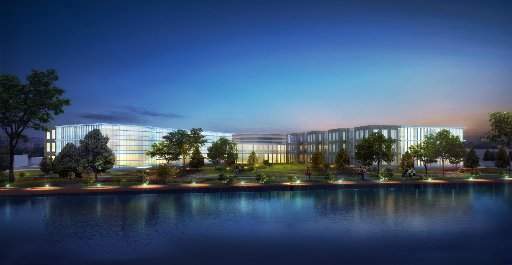 Whirlpool’s $86 million headquarters in Benton Harbor. Whirlpool’s money buys local politicians, like the city commissioners that Rev. Pinkney and others sought to recall, back in 2007, a campaign that led to Pinkney’s conviction on charges of “buying votes” – as if a poor Black preacher would try to compete with a multi-billion-dollar corporation in the game of vote-buying. As the legal battle wore on, Rev. Pinkney was sentenced to a year in state prison for the “crime” of quoting the Bible. A white judge claimed that, in Rev. Pinkney’s mouth, the holy scripture becomes a lethal threat. This is how a Black man-of-the-cloth earns a felony record in southeast Michigan. Back in May, Rev. Pinkney was trying to recall the current mayor, James Hightower – who he calls a flunky of Whirlpool – when a county SWAT team surrounded his house, to arrest the Reverend on new charges. The white corporate fathers’ vendetta against voting rights advocates like Pinkney seems like overkill, since the people of Benton Harbor and more than half the Black population of Michigan have been effectively disenfranchised by an Emergency Manager law that covers every majority Black city in the state. Rev. 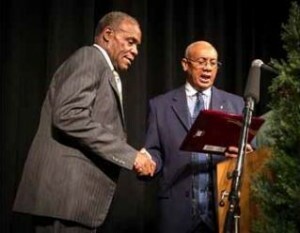 Pinkney with supporter Danny Glover, actor/activist in Oct. 2012. The people can vote for a mayor and city council, but a state appointee holds all the power, and his job is to turn over public assets to private corporations. But, even when the rich effectively hold total power, they still feel it necessary to crush those who question their right to rule – especially if the questioners are Black. Rev. Pinkney calls it a “class war.” In the United States, that has always also meant a race war, in which the full weight of the racist capitalist state is brought to bear. The state piles on multiple unjust felony convictions so that a Bible-quoting community leader is made to appear to be a criminal, deserving of life in prison. But felony counts are like boxing rounds. Rev. Pinkney is still on his feet, fist in the air. Right on, Reverend. 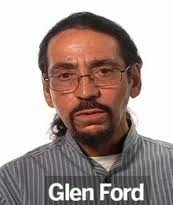 For Black Agenda Radio, I’m Glen Ford. On the web, go to www.BlackAgendaReport.com, and sign up for free email notification of our new issues, each Wednesday. Below: Rachel Maddox reports on Benton Harbor.